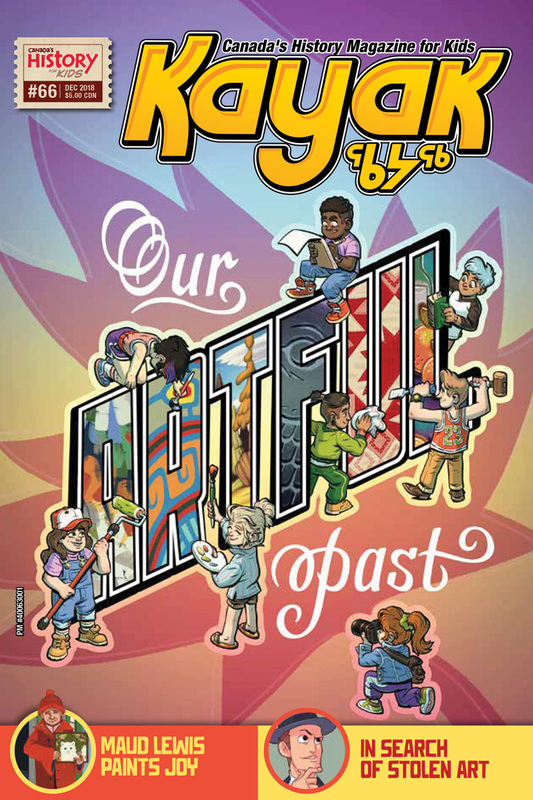 See what’s in the December 2018 issue of Kayak: Canada’s History Magazine for Kids. Sometimes those artists show famous events, but what they do isn’t necessarily history, even if it looks like it. Few Canadians now know the story of Max Stern, who came to Canada and helped us appreciate our own artists, but who had a whole other story that’s just coming to light. So many beautiful, meaningful things are simply known as crafts, but whatever you call it, be sure to give it a try yourself! From whales to horses, beavers to birds, learn all about how animals are part of the story of Canada.